Many children now spend their summers indoors watching television or playing video games. While this may not be ideal for some, the digital age continues to grow at an exponential rate. If your child enjoys using electronics during the summer, then consider providing them with a truly unforgettable learning experience that revolves around using computers to create digital pieces of art! 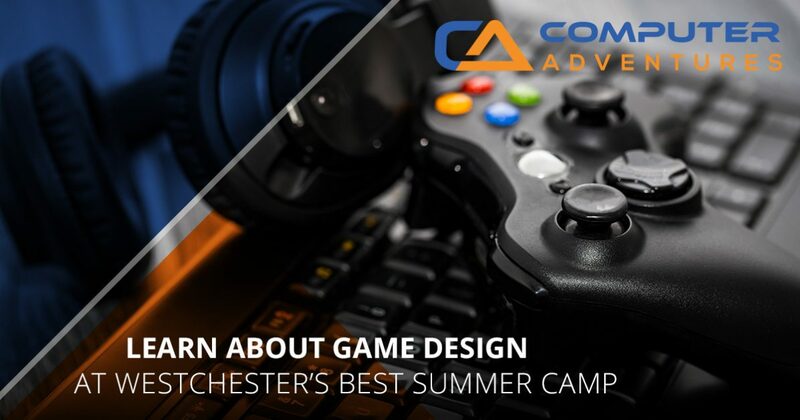 In today’s article about our Westchester summer camp, we will be taking a look at a few of the reasons why your child will love Computer Adventures’ game design class! At Computer Adventures, we offer something for all tech enthusiasts. With classes ranging from graphic design and robotics to programming and animation, we know that you will be able to find an electronics class that interests you. We are staffed by a number of individuals that are as friendly as they are knowledgeable in all things electronics, and we offer affordable rates so that your child can learn and grow among like-minded individuals. To learn more about why your child will love our game design class taught at our summer camp in Mount Kisco, continue reading more below. One of the most fulfilling aspects of game design is not only seeing the entirety of a project through to completion, but also creating something that others will enjoy interacting with. During our game design classes, students will learn how to create a number of different games ranging from arcade and platform games to RPG and 3D game development. Best of all, once our game design classes in the summer have concluded, all of our students will be able to download their projects at their home! Designing games require a high level of analytical and creative abilities in order to create a compelling world and an equally compelling storyline. This is a great activity for kids to stimulate their imagination while working alongside like-minded individuals. Not to mention, that since the game design industry is constantly evolving, there is always something new to be learned! So, if you are an individual that loves to constantly learn while creating your own digital world, then our game design classes taught during our summer camp might be the perfect fit for you. These are just some of the many reasons why you will find our game design summer camp classes to be as exciting as they are engaging. Our four-day summer camp classes are designed to bring children in the area together so that kids in Mount Kisco can make new friends while learning a new skill that they find to be interesting! If you would like to learn more about our summer camp classes that we offer, or if you would simply like to learn more about the curriculum taught at Computer Adventures, then don’t hesitate to reach out to our team of friendly professionals today. We work hard to ensure that your child feels welcome in a friendly environment, and we can’t wait to see him or her at our next computer class!